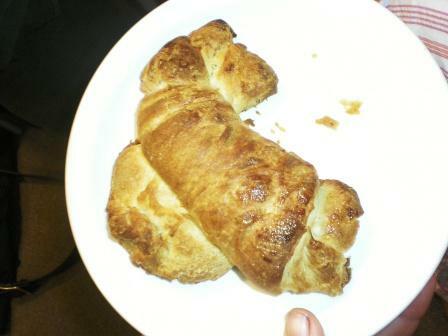 Yesterday (Sunday) Ali made coissants he actually delivered one to me in bed! It had been a late night on Saturday so I stayed in bed till 10am! Crazy for me. Last night I did a talk about California and what my life is like before we watched our Sunday night movie. It is an attempt we are making on base so that people know a little bit more of everyones lives off base. 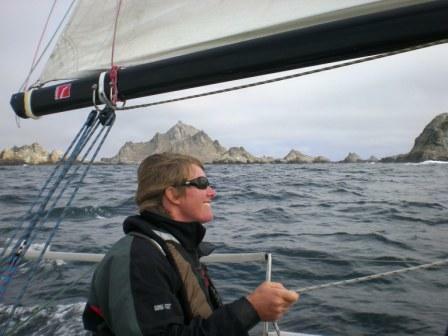 I showed this picture of me going around the Farlonne Islands off SF. I read quite a number of years ago the book Devils Teeth which is about the islands however, I went back to google to remind myself. I was surprised with some of the similarities of SG to the Farlonnes. 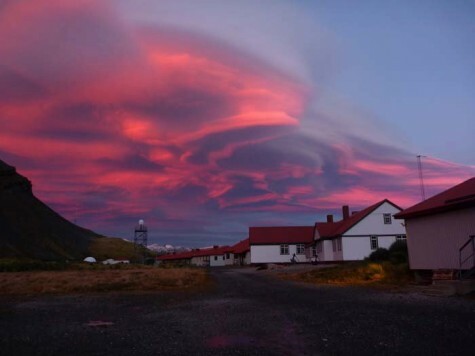 Granted we have glaciers here and the island is a lot bigger however, both islands have elephant seals, fur seals, many species of seabirds, are jagged rocky peaks with no trees and the only inhabitants are researchers. Also the Farlonnes had seal hunters which I didn’t know from New England and Russia – 1500 seals were taken annually. If it wasn’t for Roosevelt protecting the islands the rate at which they were taking the seabird eggs 500,000 per month there wouldn’t be a seabird population left. Today here we had fog at a low level most of the day however, I did go to the hut to finish off the turnbuckle and also to do an indent of what is in the hut. While I was there the wind brought more damp fog in so that I could not see more than 50 meters ahead put high above where there were breaks you could see bright blue sky! Tommy and Katie asked to have a joint birthday party and I was on cook today which was the first saturday since their birthdays that everyone was on base. I had a really great time making the food for it. My menu was as below. 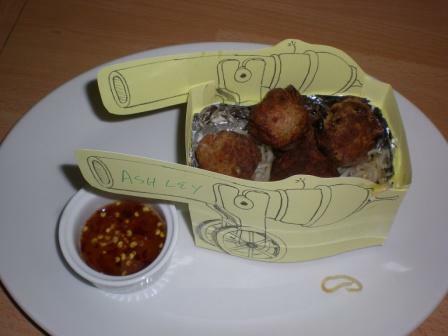 Fiery pork cannon balls – thai pork and beef meatballs with a homemade sweet chilli sauce on a bed of crispy noodles. The cannons were drawn by Tommy who I threw a piece of paper and pencil at during smoko and asked him to draw a cannon off the top of his head – not a bad job. 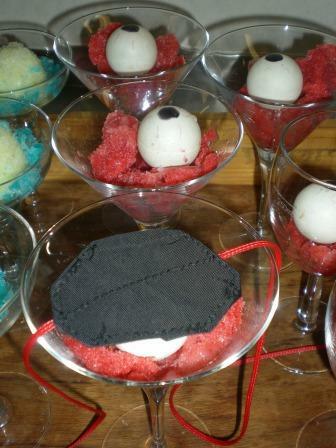 Eyeball Sorbet – homemade strawberry sorbet with a ping pong ball eye and a fabric pirate patch. 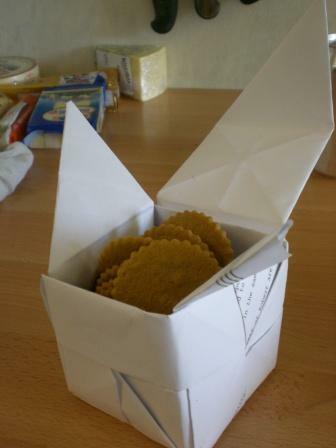 Still from a batch made by Matt H last year..
Hard Tack Sea Biscuits with Cheese – Nothing special just cheese board with biscuits! 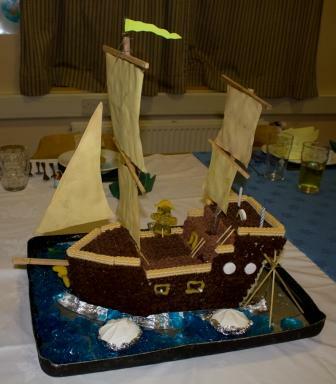 Birthday Cake – I will post some pictures tomorrow as I didn’t get a chance to take any pictures of it complete! 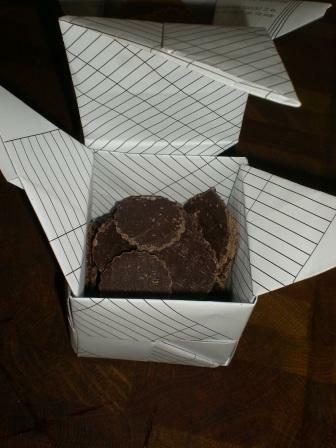 Coffee with mints and ginger biscuits – After eight mints cut into circles and store bought ginger snaps served in origami boxes. I tried to make a proper treasure chest but it was beyond my skill level so I went for the cubes instead! The rest of the dinner table settings I unfortunately didn’t take pictures of but I think Ali took some so will post what he has. Also everyone made a huge effort with their fancy dress so I will post that tomorrow. I looked up pirate cocktails and made the following cocktail menu for Ali and Matt to mix up in the bar. This picture was taken by Tommy of tonights sunset which was beautiful. My picture didn’t come out very well. 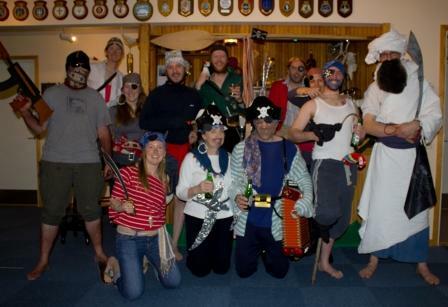 Last night the bar was packed with the ships crew and base members for Quiz night complete with pizzas made by Matt Mech. 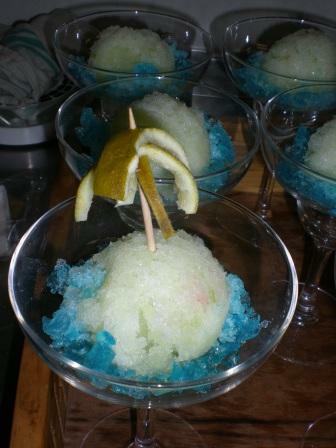 It was a fun evening our team came 3rd out of 5 teams so not too badly! 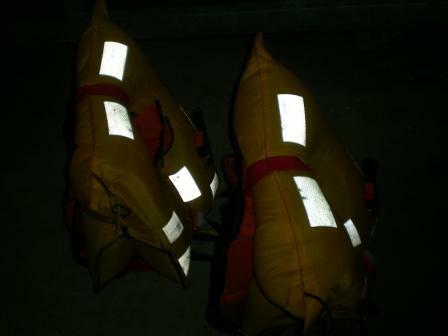 Today Matt K inspected our lifejackets which we do every 6 months. This includes inflating them by foot pump so as not to get moisture from your breath on the inside of the jacket. There were quite a few failures… One had a hole in the bladder and the others had air leaking from the water inlet on the Hammar arming units. The units were not expired and the green not red indicator was showing. It is a good thing we have dual bladder units. 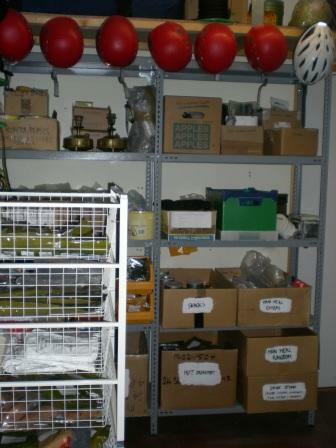 I spent the day in the field store trying to sort out spare field equipment and dispose of food with an expiry date pre 2000! Anything from 2000 on is still acceptable apparently…. 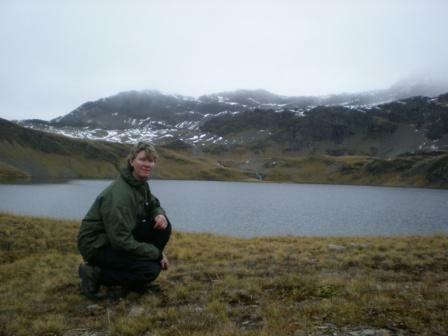 I am hoping to get in touch with the military in the Falklands and beg some more supplies from them for camping. 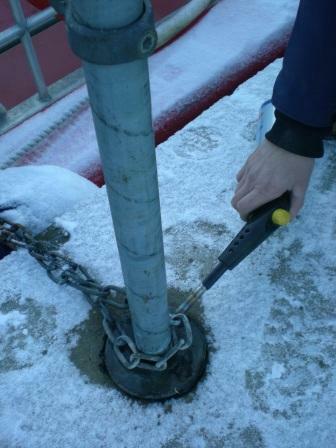 The posts next to the jet boat needed to be removed for the fence to go in place however, they were frozen in the socket. Matt put a butane torch to the metal while I used a sledge hammer as a bosuns persuader! The fence was finally dry so Matt and I attached the fenders and using the JCB and a sledge hammer put it in place. As the ground is a bit too frozen we will wait for it to thaw in the warmer weather before digging the angled legs in place. Matt leans on the fence he welded together surveying the jet boats! I struggled to replace the seals in the hydraulic steering ram on Prion one of the jet boats. What a hassle! The rod end needed to be removed to put on new shaft seals and when I went to unscrew it for a start I had to heat it up to break the loctite bond but then it undid fine until it got 7/8 of the way off. At this point the thread was damaged probably occuring when they manufacturered the unit as it has never been taken apart. It got to a point where it would not go on or off. What to do? 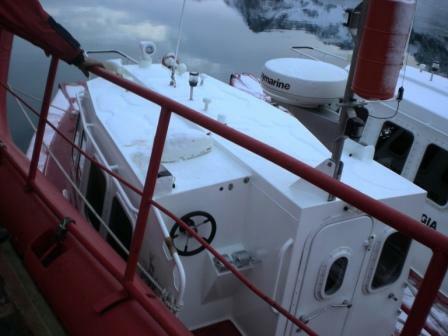 No spare unit which is not great seeing as we are 1000 miles from no where and it means the boat is out of commission.. Fortunately the ship was in and they have a workshop which means we could fabricate a new stainless fitting if necessary. So we ended up hacksawing the last 1/4 inch of thread then removing what was left from the end fitting and cleaning up the threads. 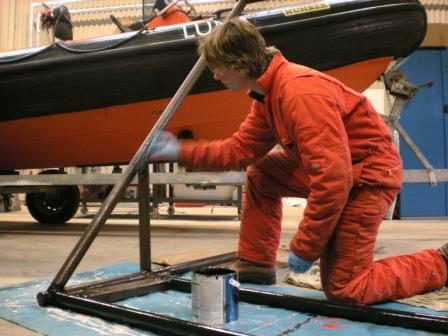 I spent pretty much the whole day wire brushing the new wharf fence welded by Matt Holmes (mechanic). 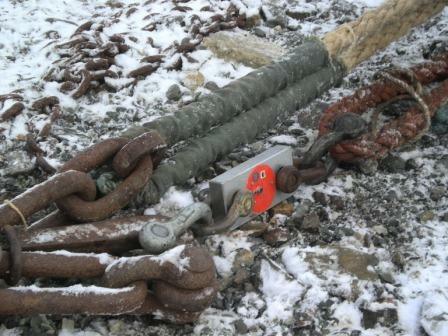 This is going in alongside the jet boats to stop them ending up on the wharf during a storm tide. After wire brushing it was time for a coat of paint. I will put two coats or maybe three before we put on the fenders. 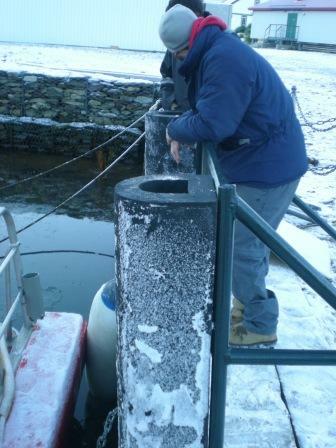 Meawhile Matt (boat) and Robert (government officer) carried out load testing of the wharf bollards and line chains. As the jet boats could have been damaged if the lines or bollards let go we decided to move them safely out of the way. 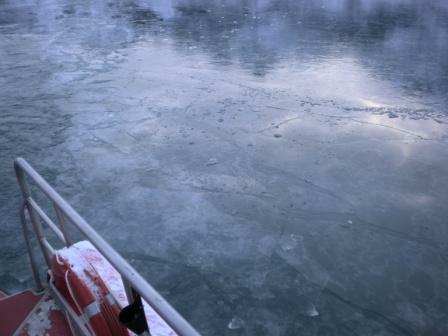 On Sunday the cove had cleared of ice but after a cold night last night we again had some ice on the surface to break through with the boats. 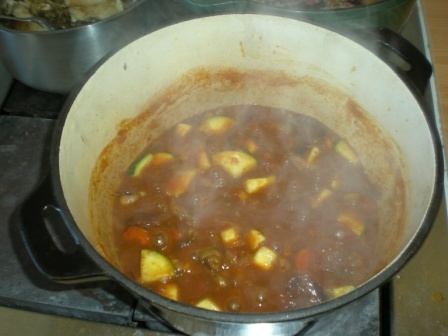 Having cooked wednesday and thursday I was on cook again today – a result of holiday changes etc. A few people mentioned craving lasagna so I decided to make one using the fresh toms before they go bad. Starting with the fresh toms I made a homemade passata (tomotoe puree). This means roasting the toms then simmering on the stove top with a whole onion for an hour. 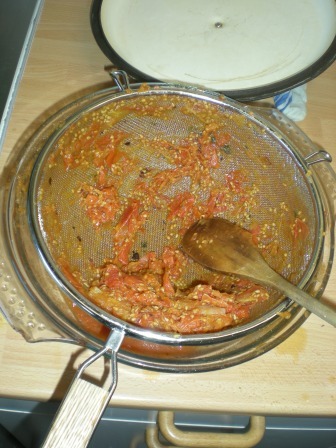 Then push the mush through a sieve and reduce to the thickness required along with an onion, some garlic and some roast peppers. 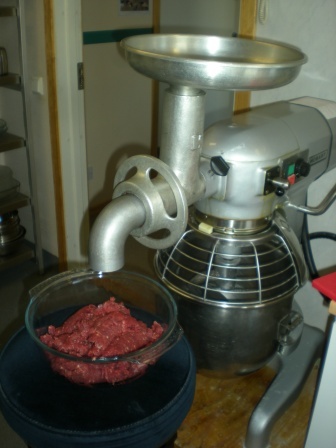 Next job was to mince the meat using our industrial mincer. I opted to use pre made lasagna sheets instead of making my own pasta as that was probably a bridge to far! If using eggs here it is a good idea to break each one individually into a cup before added to a recipe. 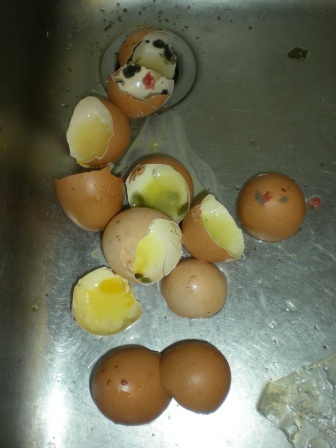 Today I broke open 15 rotten eggs and only had 3 good ones! So a day of cooking with a quick trip to Deadmans at lunch time as it was such a beautiful cold day. The sleet from yesterday and slight snow left a crisp 2 inches of snow on the ground. 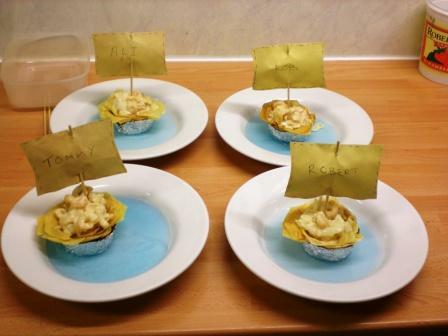 I served the lasagna with a salad of brocolli, oranges, avocado, lettuce, onion, chilli flakes, toms, cucumber, red and yellow pepper, parsley, mint, red wine vinegar, dill – basically a mix of all freshies on station! Also pizza dough balls with mozarella centers and garlic butter. On Saturday we started over to Harpon for a three day camping trip for Tommy’s birthday. About 1/2 way there he decided he would rather be on base for his birthday so with the weather coming in we turned around and headed back. On Sunday I spent the morning finishing off my MWP and then headed over to Maiviken hut to put a new turnbuckle on the hut. 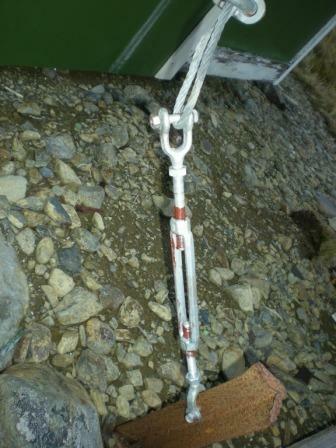 Unfortunately the angle isn’t right so I will have to return with a shackle to sort it out. As I turned around to head back before it got dark it started to sleet and snow. 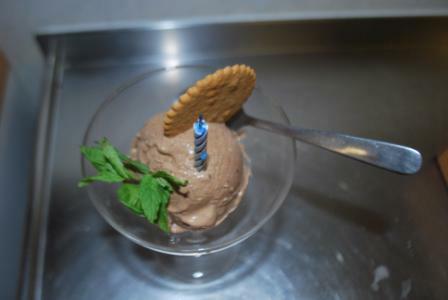 As it was Tommy’s birthday and he likes bailey’s mousse and ice cream I made some homemade bailey’s chocolate ice cream instead of a cake and served it to him with a candle. It was quite a bit more work to make the ice cream without an ice cream maker but it is doable! I made ginger snaps as well but they didn’t turn out well so instead I put some triple ginger cookies with it that I had brought from California. 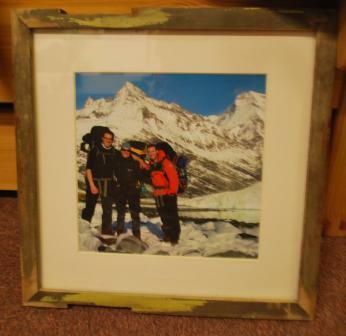 I also gave him a frame I made from a window frame I found at the whaling station with a picture of Rob, Tommy and I on holiday at the Greene last week. Last night was the premier in the UK of The Great White Silence which is a movie that the British Film Institute restored. 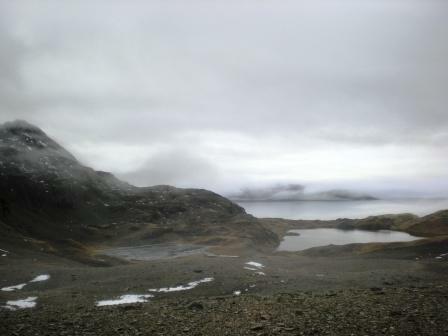 The film was made 100 years ago on Scott’s last expedition by Herbert Ponting’s and first shown in 1924. When Alastair heard that it was going to be shown in the UK last night he got in touch with the British Film Institute and asked that it be sent down to us here on station so we could watch it as well on the premier night. 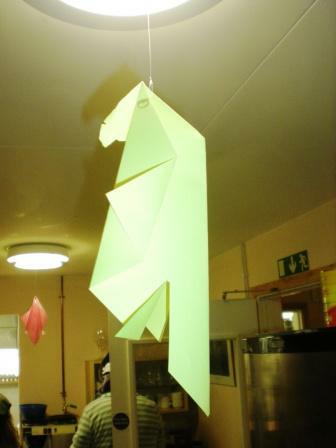 Alastairs great great uncle was on the expedition and died with Scott in a tent 11 miles from food supplies. 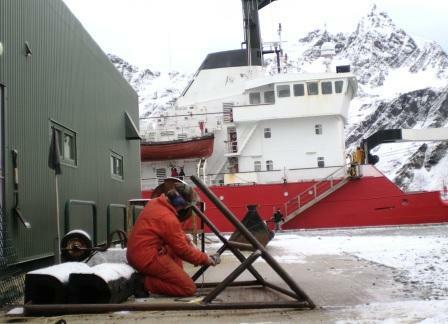 Unfortunately he is off doing some science with Katie on a ship so will watch it when he gets back in 4 days or so. For him I am sure it will be a very moving movie to watch. How many of us in the world get to see video footage of our great great relatives? It simply doesn’t exist unless they were part of an expedition or a movie star. None of us realised that footage existed it was absolutely stunning the quality was so good one had to remind oneself that it was shot 100 years ago. At that time as well this was probably the first footage ever taken of the wildlife – penguins, killer whales etc. what a commotion it must have caused. Down here we just take it for granted that we can look out the window and see penguins and seals on the shoreline. The ‘special’ effects were quite funny for us from the perspective of movie making now. We laughed in the penguin scenes as they are very comical. And made lots of comments about their method of cooking and how our equipment is not any different today. The same primus stoves, the same sledges and the same pyramid tents. I guess if it is not broke why fix it. Many other things have changed – no dogs which is such a shame but then we don’t have to kill seals to feed the dogs which is a large benefit! We have skidoos that work most of the time and merino wool instead of huge itchy wool trousers and jumpers. Down sleeping bags instead of reindeer hide – we commented on the debate of sleeping with the fur in or out! The musical score stopped very quickly so everyone had to adjust to watching and reading but there were so many comments and discussions about the content that there was noise enough! 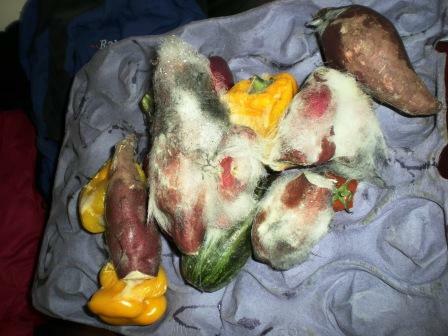 Sometimes when the freshies get to us they aren’t really that fresh! 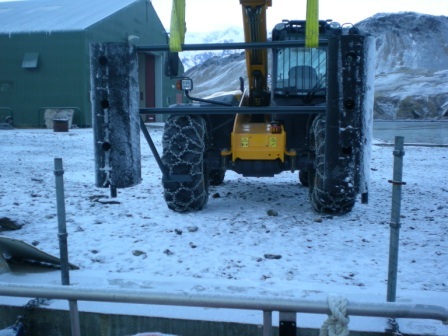 However, we are very lucky to have them as at Rothera and Halley they get no fresh food for 7 months of the year and the remaining 5 months there is a very limited supply. A few months ago we got delivered a pumpkin that was 17kg. When Sam does the ordering she never knows what will actually turn up. She didn’t order the pumpkin and it was so huge I ended up cooking half of it pureeing it and putting batches in the freezer. 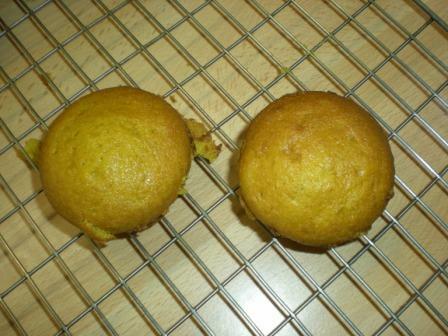 So today I made some pumpkin muffins. We had a large amount of carrots that were going off last month so I grated them and froze them for carrot cake. 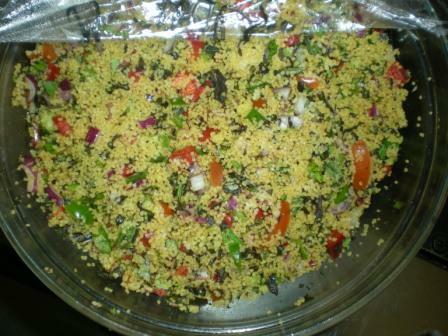 I cooked thursday as well and used a friends recipe to maket tabouli as we got in some fresh mint and basil. It was an explosion of tastes in the mouth. Although I don’t really crave freshies when we get them I really really appreciate them all the more. I served the tabouli with lamb loin with a balsalmic glaze and salad. 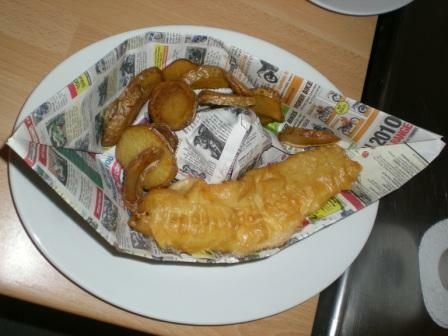 Boat school today was vessel light identification I think I managed to confuse and bore everyone on the subject!